Anti-Pitchfork: New Michael Nesmith Box Set "Infinitia" Pre-Order! New Michael Nesmith Box Set "Infinitia" Pre-Order! 'Infinitia' by Michael Nesmith, is now complete. The Ocean will join The Prison and The Garden in one box set. 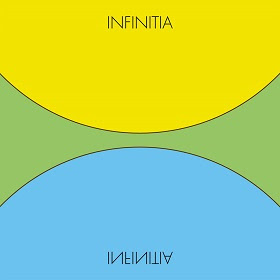 In addition, there will be a limited First Edition Infinitia Box set which is now available at Videoranch for PRE-ORDER. These First Editions are available exclusively at Videoranch and only 200 will be made. Each First Edition comes signed, numbered, and dated. Those who place a Pre-Order, will have their First Edition Infinitia Box Set shipped beginning the week of October 12th, 2015. Labels: New Michael Nesmith Box Set "Infinitia" Pre-Order! $200? Are these vinyl or CDs?